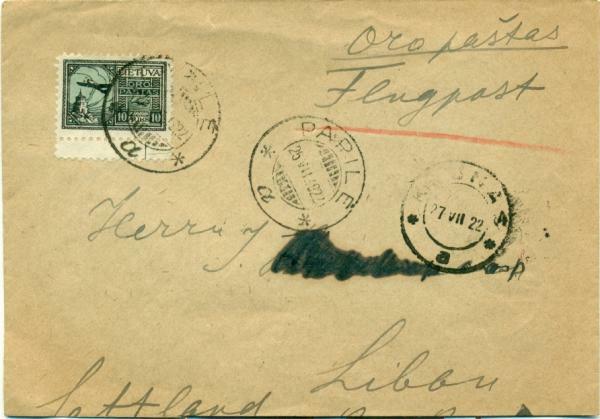 This item consists of an air mail cover posted July 27, 1922 to Liepaja, Latvia franked with Sc. C20. Pposted from Papile with Kaunas transit cancel - Liepaja July 30, 1922 receiving cancel on reverse.